Uttar Pradesh Basic Education Department, State Government invites all the kids from backward and economically weaker sections to get RTE UP Admission 2019 to private schools under the Right to Education scheme. The state government of Uttar Pradesh has decided to conduct the admission registrations in three phases for selection of kids to schools will be done through the lottery system. Kindly, check the dates and events according to the officials and the deadline to apply for admissions. For registrations between 2019, the lottery shall be drawn in upcoming days. Read the following data in details and proceed to register if you have all necessary eligibility required to fill upsdc RTE UP Admission 2019. Under the Right to Information, there are around 21000+ applications that were received last year and over 15500 students got admission to the private schools against rte 25 admission programme. The data has been rising tremendously with respect to every year hence showing the effectiveness of this initiative introduced by the State Government. Alone in the state of Uttar Pradesh, there are over 39 districts wherein the admissions were granted to the students. Kids from SC/ST, EWS, Handicapped, Kids with Widowed mother, Impoverished and dependent kids. Family’s annual income must be below 1 lakh Rs. Kids’ Name must be enrolled in BPL ration card. State Domicile/Aadhaar Card/Bank Passbook/Driving Licence (Parents). Log on to the main website which is, “rte25.upsdc.gov.in” and reach the homepage of the site and focus on the right side of the page and check RTE Uttar Pradesh 2019. Click Login and create a login Id and Password. Then proceed to Register accordingly and provide your details that are essentially required. Enter the school names and if there are more than one schools in your vicinity, then enter all the particulars clearly and properly. Complete the application and keep a receipt along for future references. Kindly, complete your online registration process to submit rte UP Application Form 2019 timely. Take help from the instructions stated above and submit your duly-filled forms as instructed. For more details and knowledge about the same, visit the official link generated hereunder. 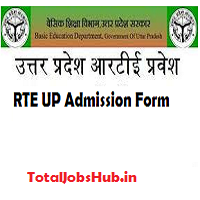 Here you will get the RTE Uttar Pradesh Result or the List of Students who get allotted in the Online RTE Lottery System(2019). The department will release the qualified candidate's pdf list every month, hence please stay with us and get all the required data now. RTE UP Helpline Number – 8000967874.